Welcome to the Cornish Ancient Sites Protection Network. We are a charitable trust formed to look after the ancient sites and monuments of west Cornwall. We work closely with local communities and official organisations to protect and promote our ancient heritage landscape through research, education and outreach activities. If you love and care for these sites as we do, then please consider getting involved! Come along to one of our site clearance days - they're held most months of the year! Enjoy, appreciate and care for ancient sites? This is the ideal way to support them! Got information regarding damage at an ancient site? Then file a report! Impress friends and support Cornish Ancient Sites by buying a CASPN T shirt! The high point of the CASPN year is the annual Pathways to the Past weekend of walks and talks which usually happens in late May. Read about Pathways to the Past 2018 here. Guided Walk with John and Jill Moss from St Just church (to visit on return journey), to lesser-known sites on Tregeseal Common, including a newly-accessible Entrance Grave. Walk – easy. Meet at St.Just churchyard. The town car park is free. 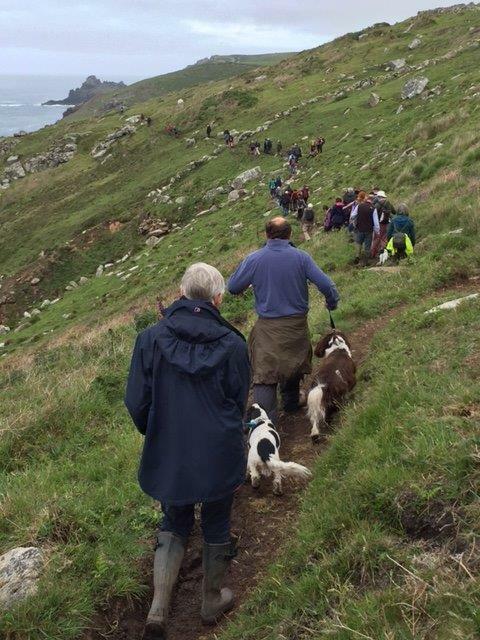 Guided Walk with David Giddings through the industrial heritage of Botallack and Kenidjack valleys. Walk – moderate, rough in places. An illustrated talk on Tintagel, with up-to-date research by Site Director Jacky Nowakowski. An introduction by author Andrew Langdon. Guided Walk with legendary storytelling by Adrian Rodda to Maen Castle, and round Land’s End to to Pordenack Point. Walk – easy. Dogs welcome (but should be kept on a lead through the Land’s End/Greeb Farm complex). Talk by folklorist Alex Langstone. 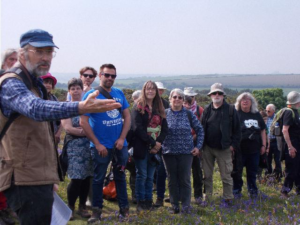 A partnership of community groups and organizations called ‘First and Last – Penwith Landscape Partnership Board has come together and agreed a vision for the Penwith landscape.